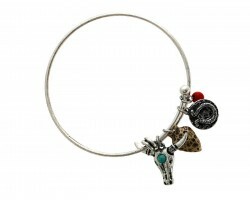 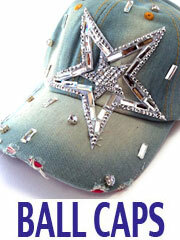 Tri Color Wire Charm Bracelet Guns Star Bullet. 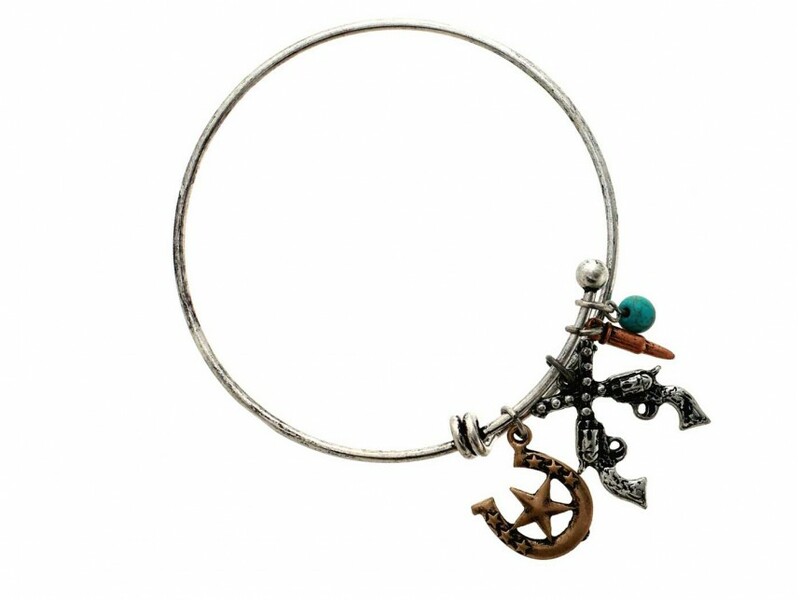 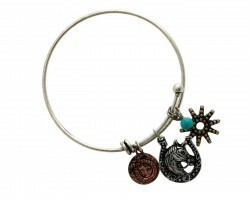 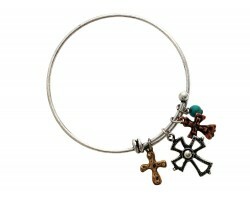 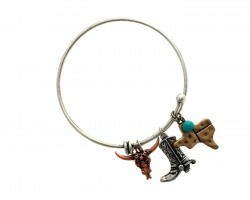 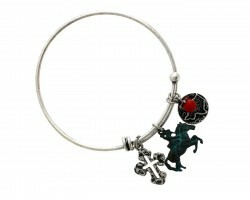 Wire Cuff Charm Bracelet has Horseshoe with a star in it, double guns, bullet, Turquoise Bead. 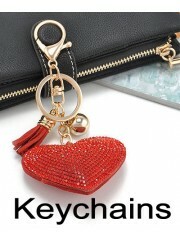 Knob and hook as clasp closure.